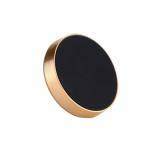 ET A04 magnetic phone holder stickers, which is easy to install, can adjust any comfortable watching angles. Especially suitable for auto use. 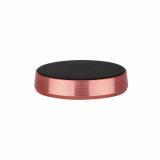 Magnetic Phone Holder Sticker is easy to install that just stick it on your car and set your hands free, keep GPS navigation safe driving. Ultra thin design make it will not block the windshield of your car. 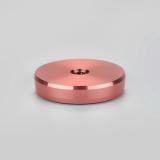 It ensures optimal positioning angle that rotate your device and swivel your display as you wish. After removal of the device, there will be no residue and no damage to the dashboard.You also can stick it on any flat surface, for example,car, kitchen, office, bedroom or any areas where you need to hold your phone or keys or anything metal. Magnetic Phone Holder Stickers has high compatibility, for almost all smart phones. • Quick link: Dashboard Phone Holder. Check more types of phone stands. Works perfectly behind my Otterbox case and I did NOT have to stick it to my phone. Do NOT stick this on your phone if you don't have to because I've seen countless reviews showing how hard it is to get off without some form of damage. Also, do not put the magnetic side (I know both sides are magnetic) but the one with no sticky pad.... just place it inside your case with the pad side touching the phone... metal side..touching your case. 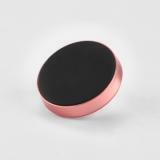 Powerful and stylish magnet that will hold a phone of any kind. I bought a few other magnets before and was never satisfied with their performance. But this is the right one! 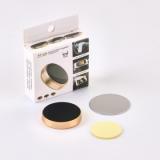 So if you are tired of looking for best magnetic holder - here is your best solution! My car is my office. I've like this holder so much I purchased more for my other cars as well as for friends. The price is more than reasonable. Thanks for offering such a great product. easy to use, though I wish they included more. Would also like the actual magnetic holder to be part of the group. These things are great. I purchased four of them, with three to give to my parents and my boyfriend. I was a little skeptical, but it's a great product. My previous phone mount had a bar that you slid over to fit your phone. While it worked, it was very difficult to remove, and you certainly couldn't do it with one hand. This one is incredibly convenient for that reason alone.